Open from mid July - end of October. Click this button for an update on what you can pick TODAY on our farm. 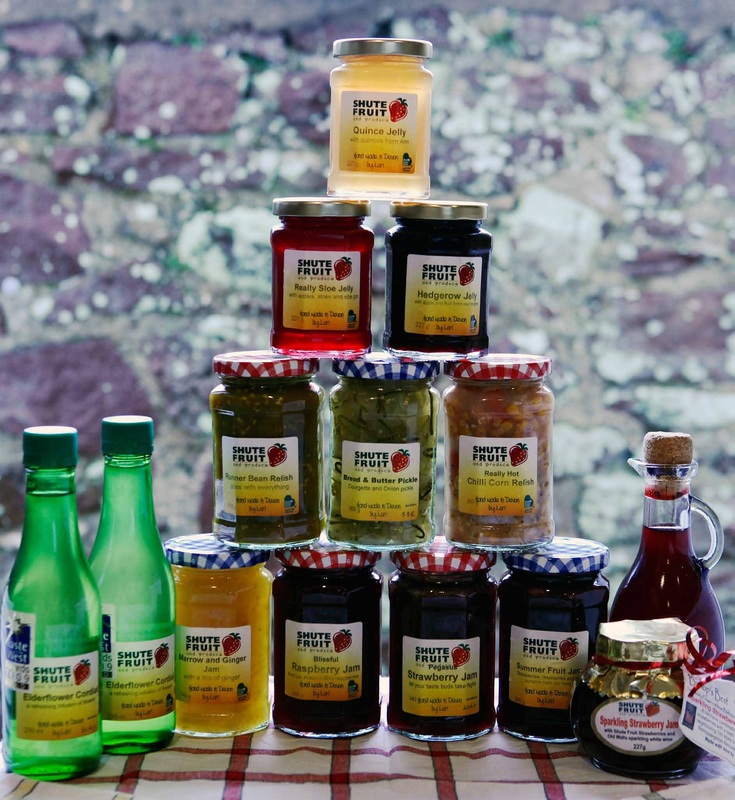 Lori's award winning jams, jellies and pickles are based on our own grown produce; it is like having our farm in a jar. 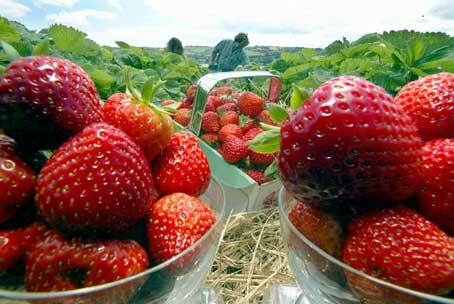 We also utilise wild fruits from the farm's hedges as well as neighbours' produce. From her farmhouse kitchen Lori stirs up over twenty different delicious varieties of preserves using plenty of love, traditional recipes, family secrets and contemporary innovations. We carefully choose our fruit and vegetable varieties for flavour - You can taste the difference. Because you pick it, you get freshness that almost squeaks. A healthy option for you and your family. The farm stall sells limited quantities of ready picked produce including our very special potatoes. Did you know you can also pre-order your requirements through our Contact Us or Preserves pages. Please order at least the day before to give us time to pick it for you! Shute Fruit and Produce is an established family farm run by us, Lori Reich and David Lamboll. The fertile red soil of the stunning Teign estuary, a Coastal Preservation Area, contributes to the superb flavour of our fruit and vegetables. It's our slice of heaven in Devon and we'd like to share it with you. Bring the whole family--well behaved dogs too. Schools and community groups welcome for tours and activities with advance notice. Why not take a chance to learn a new skill with the Preserving the Harvest course and learn to make preserves in one day. Come to Shute Fruit for a day of fun, friendship and lots of preserving practice and advice. We start at 9:30 and aim to end at 4:30 pm. The course is taught in the Bishopsteignton Community Centre that has a lovely large kitchen. Dates for the course are 23 or 24 June, 22 or 23 Sept or 10 or 11 November. Cost is only £70.00 for all the instruction, ingredients, jars and refreshments throughout the day. That's great value for a lifelong skill. Check out Lori's diary page, our photo gallery or our newsletter to see what she has been up to recently.